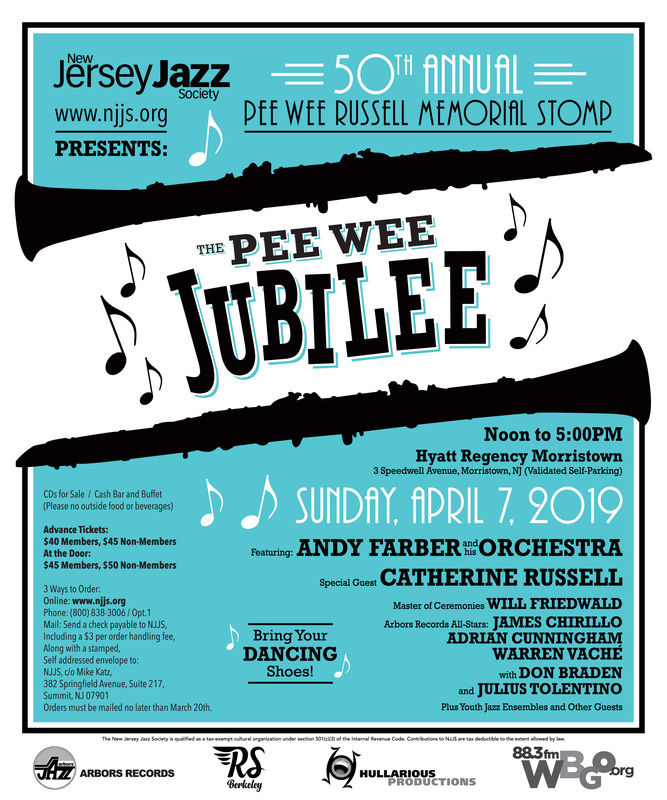 nj arts maven: NJJS 50th Annual Pee Wee Russell Memorial Stomp! This 5-hour music and dance fest will feature Andy Farber and his Orchestra with Special Guest, Grammy-winning Singer Catherine Russell; the Battle of the Saxes set featuring Don Braden, Adrian Cunningham, Andy Farber and Julius Tolentino; as well as the Arbors Records All Stars featuring Adrian Cunningham, Warren Vache and James Chirillo; and a youth set devoted to the talents of the new Jazz Orchestra from the New Jersey Youth Symphony program under the tutelage of Julius Tolentino and an award winning septet from Jazz House Kids. WBGO will receive our Jazz Advocate Award and vocalist and educator Roseanna Vitro will be honored with our Distinguished Musician Award. This fantastic milestone event will be MC'd by writer and critic Will Friedwald.